I was recently talking to a friend about the less spectacular points of his job as an aviation safety manager. We talked about this and that – the various hurdles every aviation safety manager has to jump over every day. The list goes on, but the point is that every workplace has barriers that a safety manager will have to throw his weight against every day. In my friend’s case, he had dealt with quite a few in his tenure. But one thing over the years has snuck up on him. From my friend's perspective, the constant challenge of continuous improvement proved particularly challenging. What this means is that aviation safety management systems (SMS) are marathons and not sprints. Just because one has a fully implemented aviation SMS does not mean that the safety manager can sit around like the Maytag repairman. Much about an aviation SMS would appear to be fairly solid, but at its root an aviation SMS is a structure of processes, always changing and adapting. One very well might measure the health of an aviation SMS by how well it adapts. The greatest sign of an immature SMS implementation is one that is static or fails to change. It implies resistance to change that cannot be overcome, failure to identify new hazards or failure to improve existing safety policies. Now, this is not to say that safety managers don’t feel accomplished, but only to say that their sense of achievement differs from most other, project-based, professions. It is much harder for a safety manager to find aspects of the job that have a sense of completion from which to derive accomplishment. After all, even with successful aviation SMS implementations, there are always things to improve, more changes. Even after a successful SMS implementation reaches phase four, the wheel keeps on turning. It’s no surprise then that aviation safety managers sometimes feel like the man from the Myth of Sisyphus, who has to roll the rock up the hill but can never reach the top. Having a sense of achievement is a vital component of one’s satisfaction with anything. Having to constantly improve and strengthen the process of safety creates a lot of pressure and is a heavy burden to carry. Over time it can be taxing. Studies show that achievement is a primary factor in motivation. As an SMS implementation becomes healthier, more robust, and more sophisticated, so does a safety manager need to be more creative in finding means of improvement, and of also maintaining the quality of the current safety culture. Once again we are talking about improving and maintaining, which are processes. And in the current case, the maintaining as improving becomes heavier as time goes on – unrelentingly so. In professions that are more project-oriented, one can have the sense of release and accomplishment after going through a process, finishing the project, and starting anew on a different project. That sense of completion is objective, with hard start/finish lines. Aviation safety Managers don’t quite have that luxury. What’s difficult about this is that the safety manager may be setting his/her own goals, in his/her own time frame, which can feel at times unwholesomely subjective or random. Not to mention that it takes a great deal of motivation to set and reach your own goals. 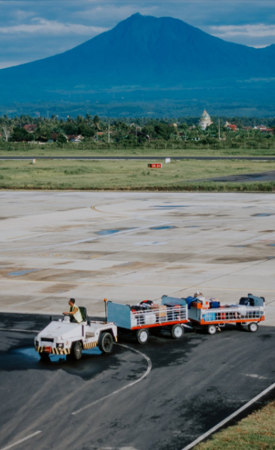 In other organizations, particularly the larger airlines and airports, safety goals and objectives are set by management, with the support of safety committees. Incrementally achieving perpetual improvement by creating benchmarks, achievements, and areas of starting afresh is essential for safety managers to fight burnout. In addition to several others things, burnout is a primary reason why aviation safety managers quit. Finding concrete, measurable, timely goals are an extremely realistic way to fight the sense of needing to perpetually improve. Moreover, such goals allow a safety manager to look back through time and see measurable progress in any number of areas. Published February 2016. Last updated February 2019.